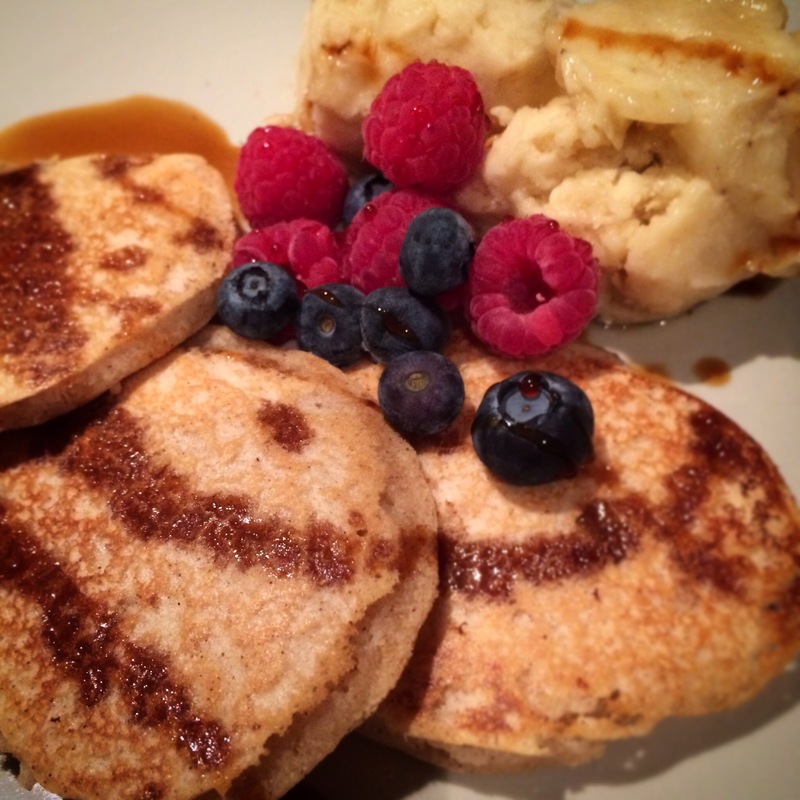 I’d been having cravings for pancakes for weeks so the other weekend I whipped up a quick batch of these lovely gluten-free, dairy free fluffy pancakes! I used rice flour because it’s what I had in the cupboard but you could use buckwheat, coconut flour, spelt flour (if you’re not fussed about gluten) etc – just adjust the amount of milk if needed (with coconut flour you will need more). You can serve these with anything you like – I went for berries, coconut syrup and banana ‘nice’ cream (frozen bananas blitzed in my vitamix). 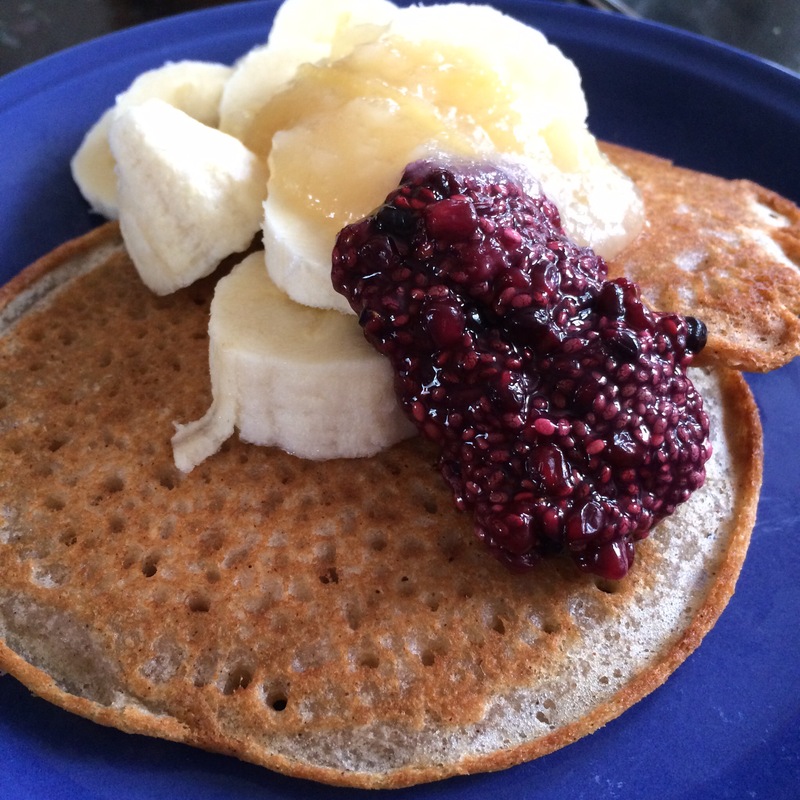 They’re also lovely with banana, chia jam and lemon curd – yum yum! Mix the wet ingredients in another and then add to the wet mixture. Stir well. Heat a frying pan with a little oil – drop a good dollop of batter in, allow to cook, turning so both sides are done. 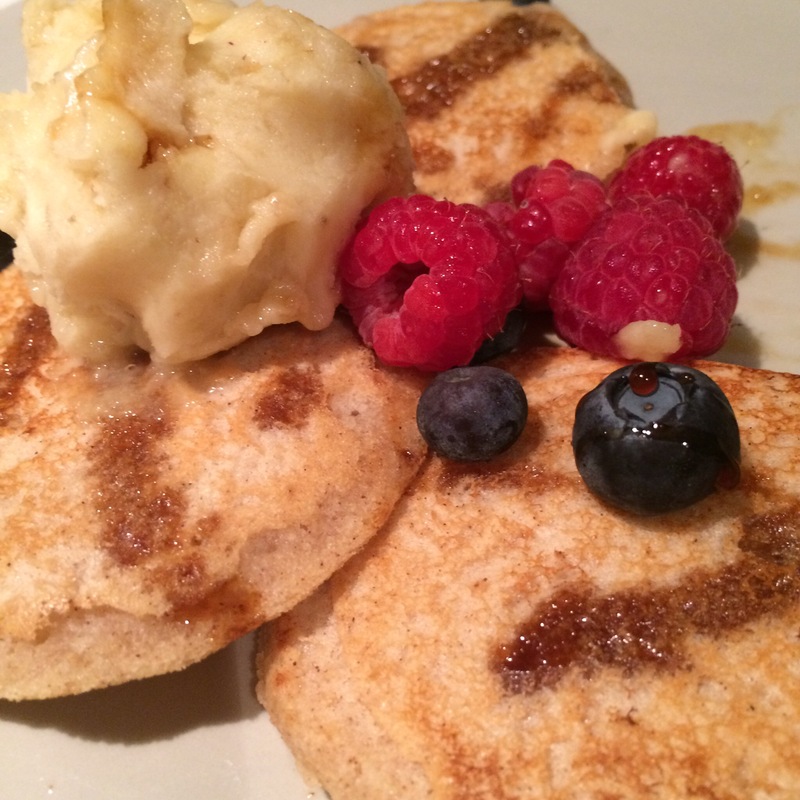 This entry was posted in Breakfast, comfort pudding, dairy free, gluten free, special occasions, treats, vegan and tagged dairy free, dairy-free pancakes, gluten free, gluten-free pancakes, pancake day, shrove tuesday, vegan crepes, vegan pancakes by Dr Nancy P. Bookmark the permalink. looks like a beautiful morning! !